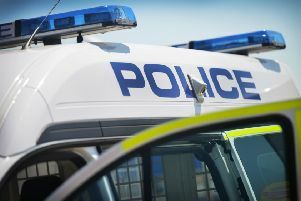 Police will 'quickly and decisively' remove those who threaten Worthing, a detective has said following the sentencing of a drug dealer. Mohammed Maow, 24, was caught in a police raid on a Worthing flat with large amounts of heroin and crack cocaine last year. The London drug dealer had been sent to the town by his employers and had been 'cuckooing' a flat, Hove Crown Court heard yesterday. He admitted two charges of possessing Class A drugs with intent to supply and was jailed. Sentencing him, Judge Henson said: “You were in an address in Worthing. You did not know the occupants and you were selling drugs from that flat. Maow – who is currently in prison for unrelated offences – was jailed for three years and two months. Following the sentencing of Maow, Detective Constable Noel Simmonds said "This investigation shows that with the right information and support from the public, the police can act quickly and decisively to remove those that would threaten the safety of our town. I would urge everyone to tell the police of problems in their area, which can be done in person, online via our website, by calling 101 or anonymously through the independent charity Crimestoppers on 0800 555 111."